For users of COMSOL Server™, COMSOL Multiphysics® version 5.2a brings the opportunity to fully customize your web interface with your own color schemes, images, logos, and more. 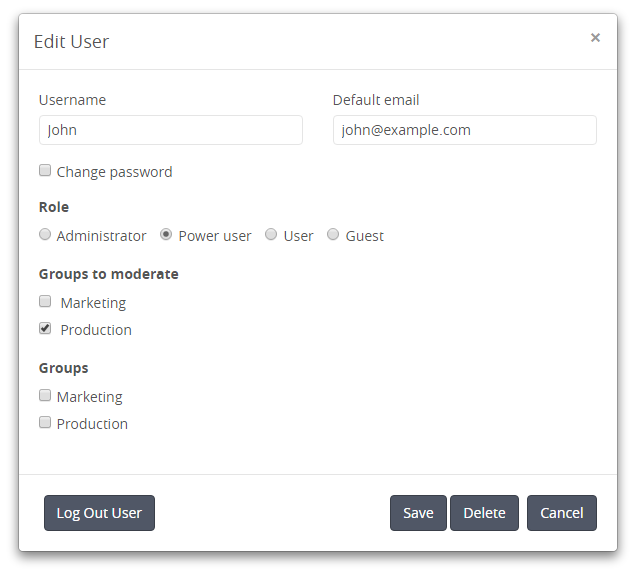 There is also a new power user role to more easily specify permissions for specific users. Continue reading to browse all of the COMSOL Server™ updates. 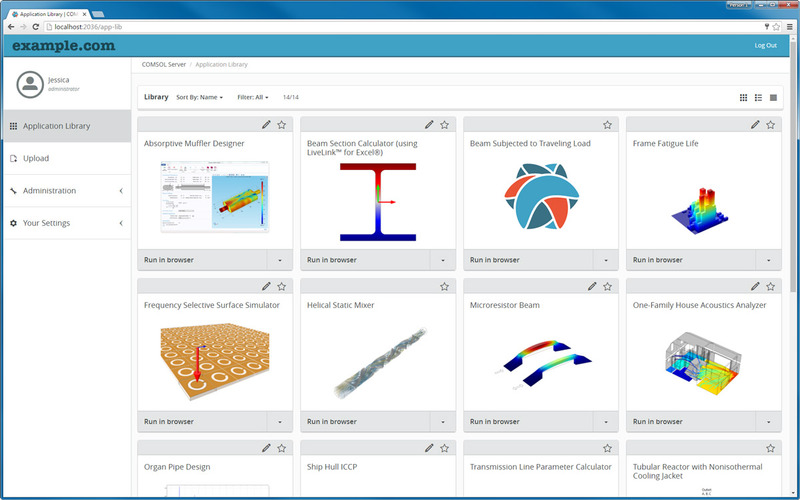 Administrators can change the visual theme of the COMSOL Server™ web interface via the Appearance section on the Administration page. 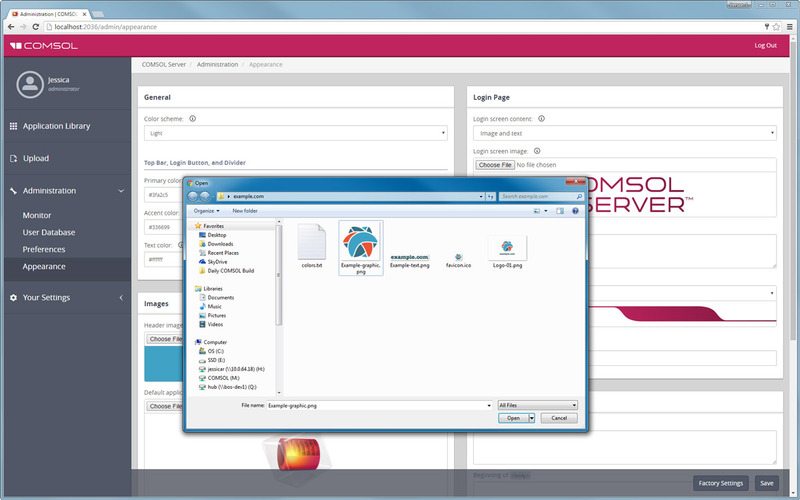 You can customize the colors, logos, and login screen content, as well as add custom HTML code to brand the COMSOL Server™ web interface. 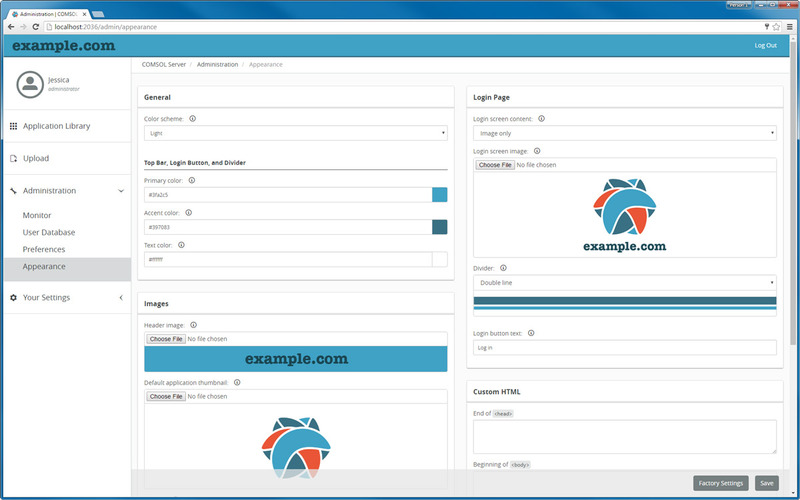 The color and image selectors, in combination with a free-form HTML section, can be used to create a branded user interface. 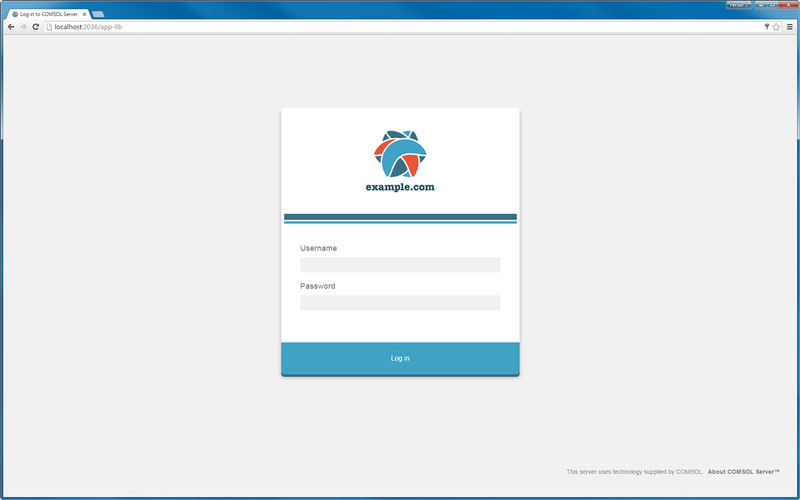 The COMSOL Server™ login page with a branded theme. 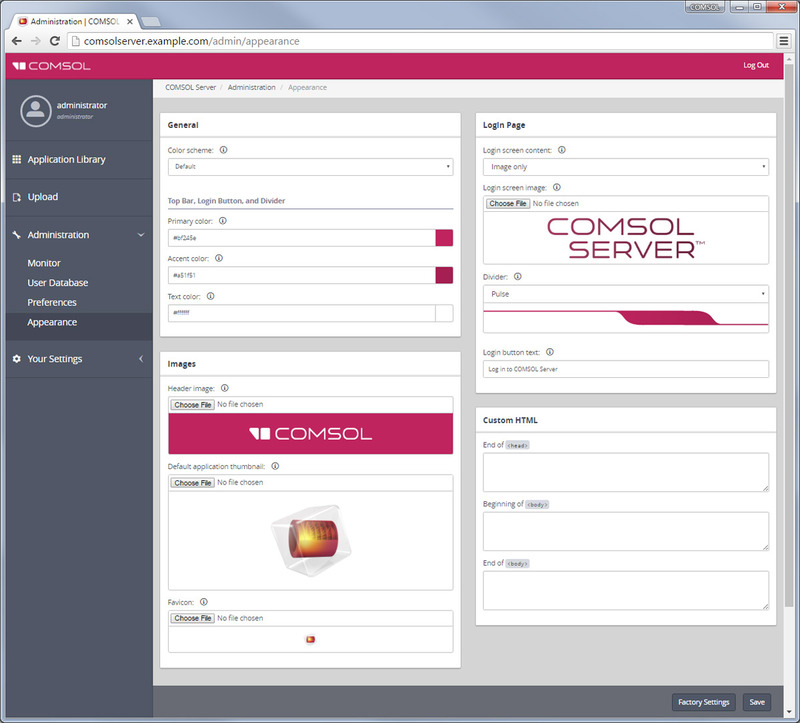 The COMSOL Server™ Application Library page with a branded theme. In a newly implemented and streamlined Monitor section interface, the system information panel and the session panel can be toggled on or off independently to streamline the visible information. The Monitor section, showing the usage, system information, and information on sessions. It is now easier to reconnect to an application if the network connection is lost. Additionally, you can reconnect to a running application, even while it is busy solving. The updated version of COMSOL Server™ offers a new permission role, power user, which is an intermediate between a user and an administrator. In short, a power user is a moderator of a set of groups and the members therein. These groups are selected by an administrator or created by the power user. 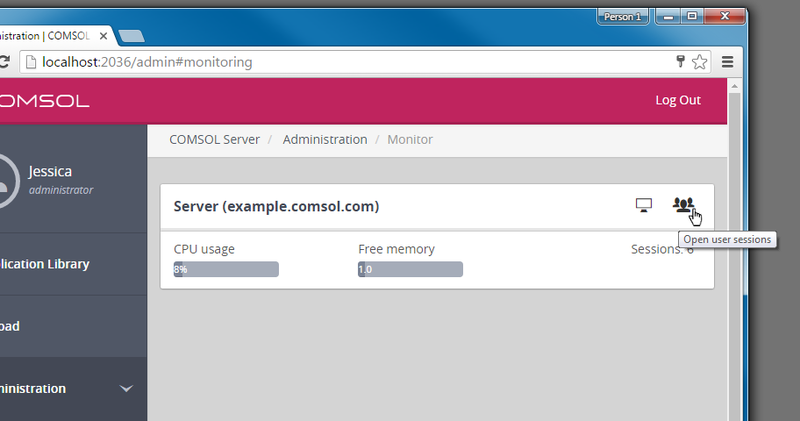 A power user can see the Monitor, User Database, and Preferences sections; edit the users in their moderated groups; and shut down their running apps. *There is a Global Preference setting that determines whether power users are allowed to create and remove users and groups. The power user may only remove users that are members of the power user's moderated groups. 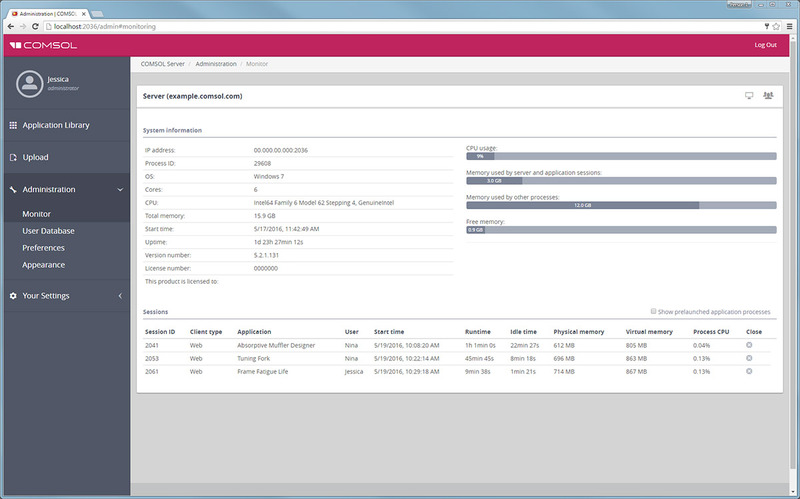 An administrator can now manually set the number of prelaunched application processes used for launching applications. This functionality is intended for COMSOL Server™ installations where high usage is expected. The default number is one.